EMA-gination: My Come Hither Look! This is my CT project for Challenge No. 61 - Glitz and Glamour at Fitztown Challenge Blog this week. Be sure to pop on over and see all the glamour we've got going on! My teammates and I went all out with the rhinestones, shimmer and what nots in hopes of inspiring you to join in on the fun! I hope you'll pop on over to the Fitztown Challenge Blog and check out what my teammates have created for this fun, girly challenge! Very elegant! 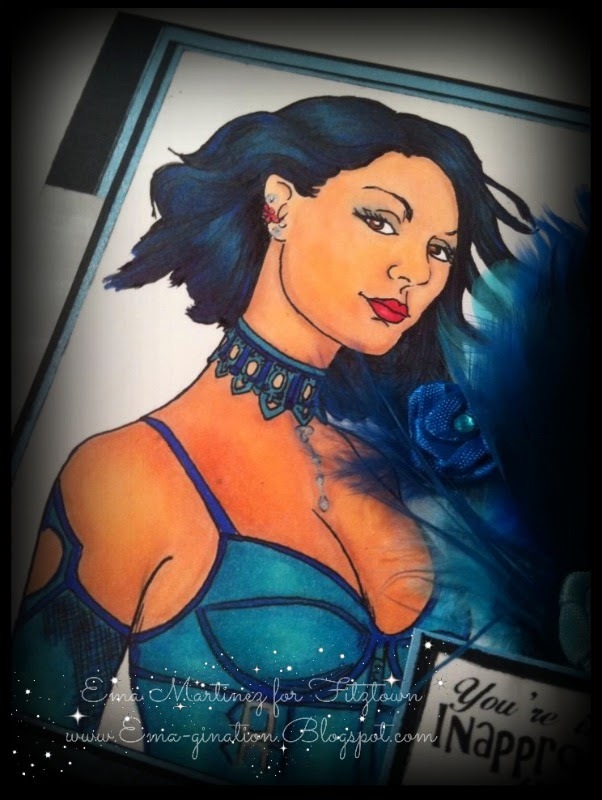 I love this blue you used and your fabulous feathers! 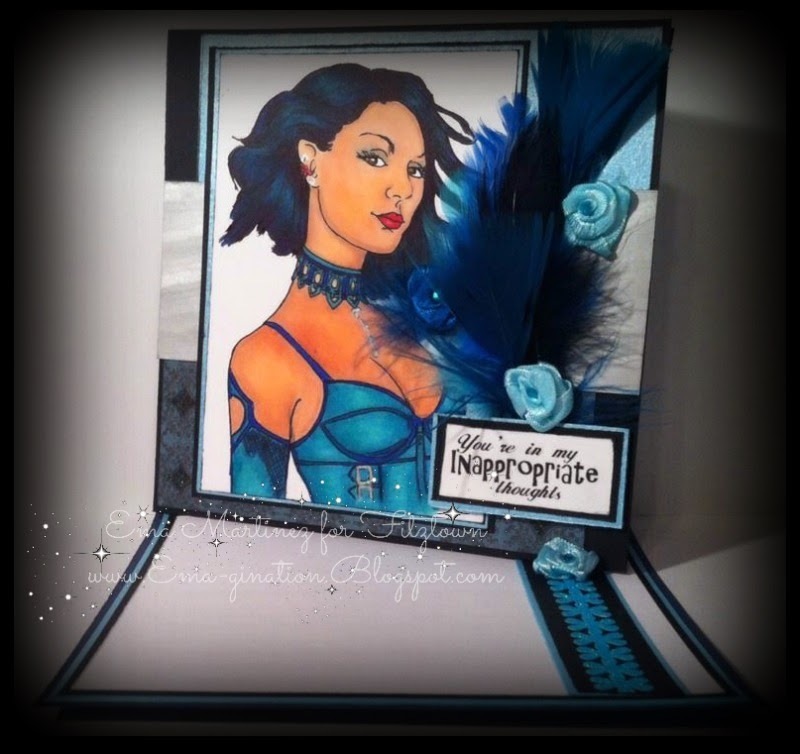 Thank you so much for sharing your creation with us at Addicted to Stamp! Hugs, Flo. Stunning card! 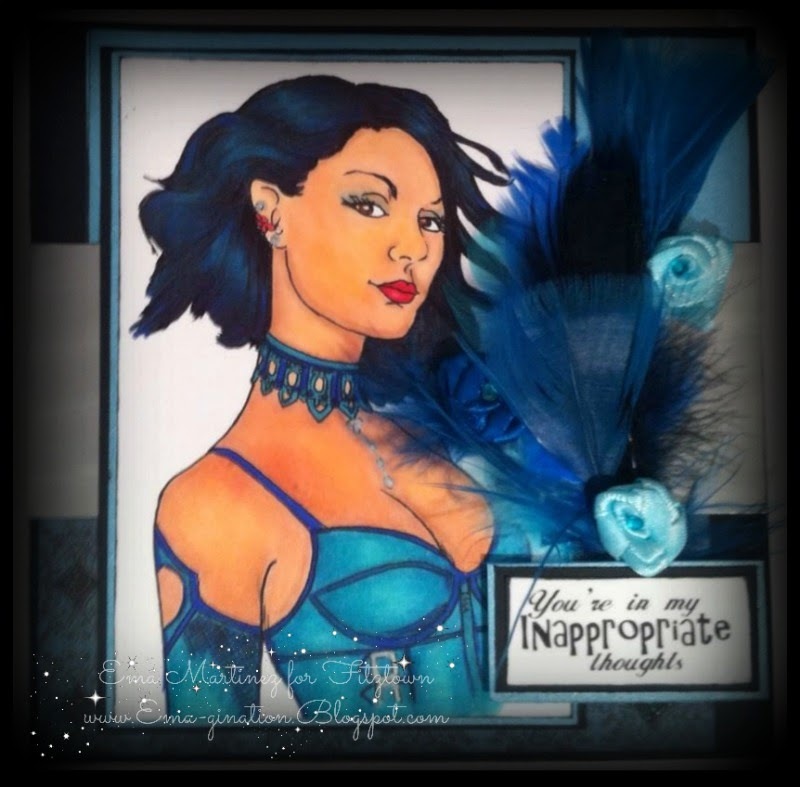 Love your colouring and the embellishments.